The January 2010 issue of The Dropout features KirkLee along with other Texas builders as they cover the Texas Custom Bicycle Show. It’s great to see another Austin magazine focusing on the bicycle scene in Texas. The Dropout can be found online and at Austin bikes shops. 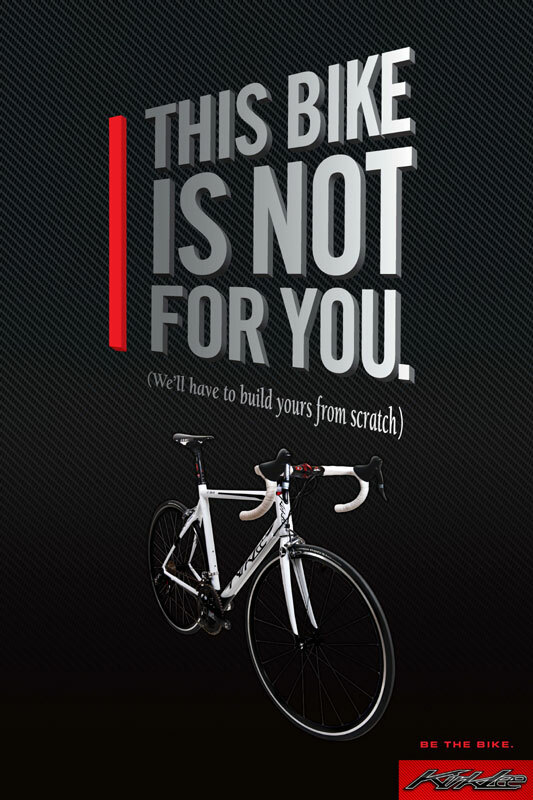 Coming soon to a bike shop near you are some new KirkLee posters. 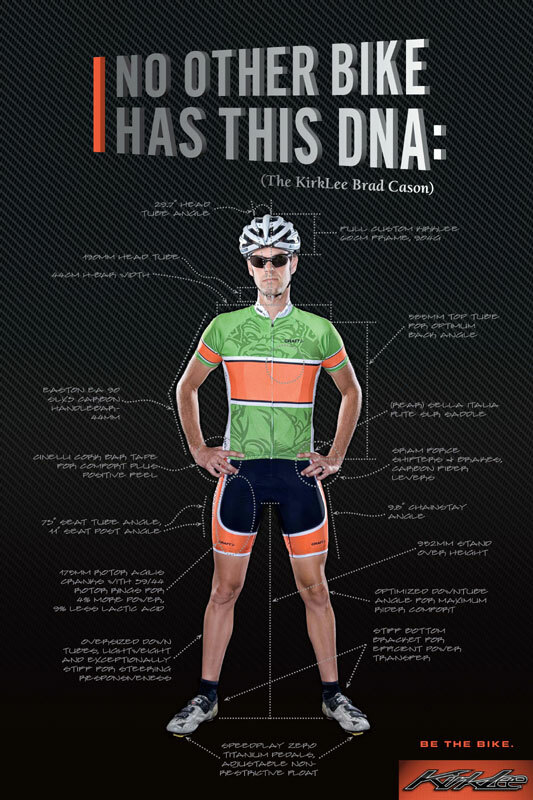 Designed to show the uniqueness a KirkLee custom bicycle is when we build one for you. 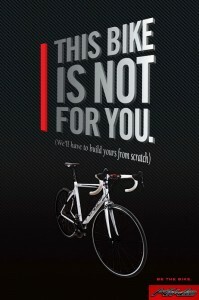 Our goal is to build the bike around you and we think these posters reflect that. U.S. Cycling Report recently sat down with KirkLee for an interview after seeing our bikes at Interbike. We’d like to thank everyone that came out to the Superdrome on Saturday. The show had good attendance and we were able to show what KirkLee is about. Check out the story from Austin Bike Blog. Plans are to have the show in Austin next year, so stay tuned. Interbike has come and gone for another year. Lots of folks stopped by the Rotor Components and Edge Composites booths to check out our bikes. Be on the lookout for us online and in publications. KirkLee will be attending the Texas Custom Bike Show at the Superdrome on November 1st. Come check out all the custom builders of Texas. 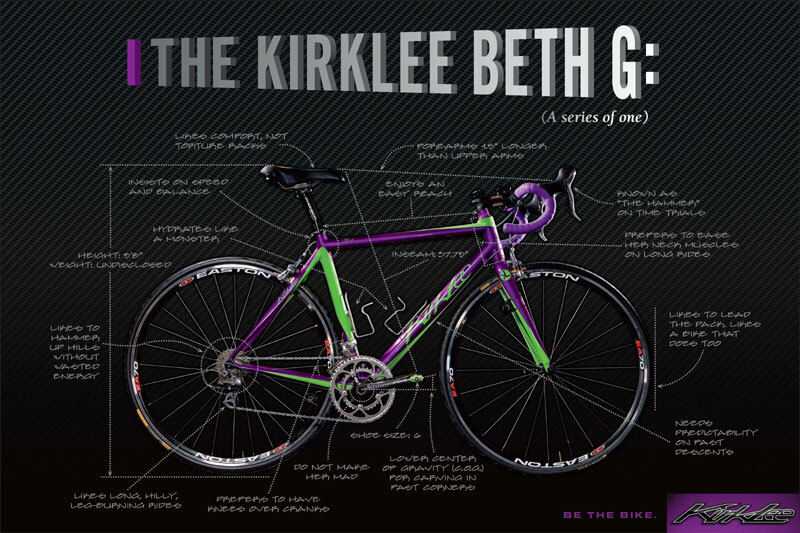 ROAD Magazine published a review of a custom KirkLee in their November-December issue. We couldnt’ be more pleased with the review. Be sure to check your newstands to pick up a copy. KirkLee unveiled two 29er mountain bikes at Interbike. We started with our own unique tube set, added carbon stays with plenty clearance for big tires, and capped it off with our own 6/4 titanium dropouts precision cut on a CNC waterjet. Then we finished it off with all top shelf parts. Interbike is fast approaching and we’re getting ready for the show. We’ll be working with Rotor Cranks again this year outfitting their gear with our frames. Be sure to stop by the booth (#367) and say hi. 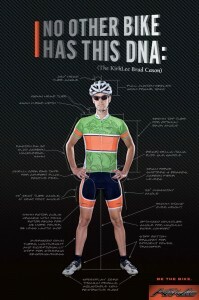 Roadcycling.com had a recent interview with Tyler Hamilton. He discusses the various bikes he’s ridden including his KirkLee. Some very kind words from Tyler. Tyler Hamilton showed off his KirkLee at the Tour of Elk Grove. This bike was custom made for Tyler after checking out a KirkLee at the AT&T Downtown Austin Crit. The paintjob was done in honor of his dog, Tugboat. ROAD magazine sat down with us to find out a little bit more about KirkLee. Check your newstands for the March 2008 issue to read the article. Stay tuned to ROAD for a review bike in the coming months as well. Check out the Jan/Feb issue for more Interbike coverage. James Huang of Cyclingnews.com stopped by the Rotor booth and took notice of the KirkLee frames. He snapped a few photos for his Interbike review.